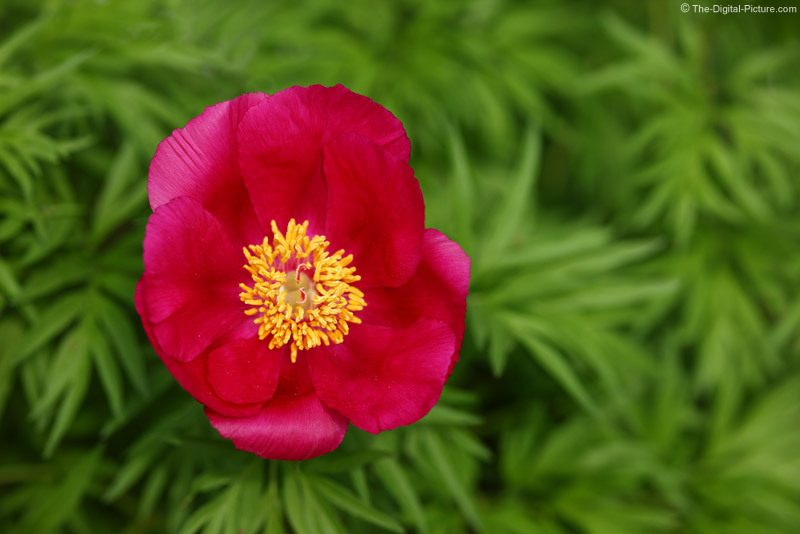 The OOF (Out of Focus) foliage of the Fernleaf Peony provide a nice background for the beautiful flower. An f/4 aperture allows much of the flower to be in focus and the foliage to be identifiable-but-blurred at this focus distance. Lighting is from a partially cloud-obscured setting sun.